"I will tell you one thing. Those of you on this side of the equation suffer the most. I have been on both sides. In World War II, I bid my brother goodbye along with all of my cousins and my brother's friends who I knew well. It was agonizing day after day, censored letters, V-mail, or no letters for months at a time, fear of a phone call or a telegram, not knowing what danger they were in and when it would all end. Four years later I went into the service and a year after that the Korean War began, and I said goodbye to my parents and siblings at a brief shoreleave as I went off to war. It is easier to do that, that is to go off to war, than to stay home and see a loved off to the conflicts. 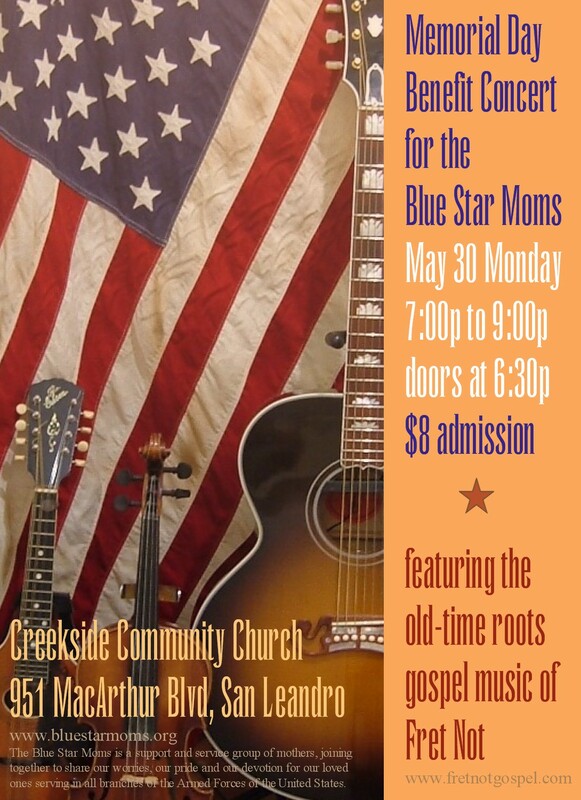 Hence I say, 'Hats off to you, Blue Star Mothers, and bless you for your sacrifices and good deeds.'" RADM Paul K Arthur joined the Navy 56 years ago. He was an enlisted sailor for 13 and an officer for 25 more. 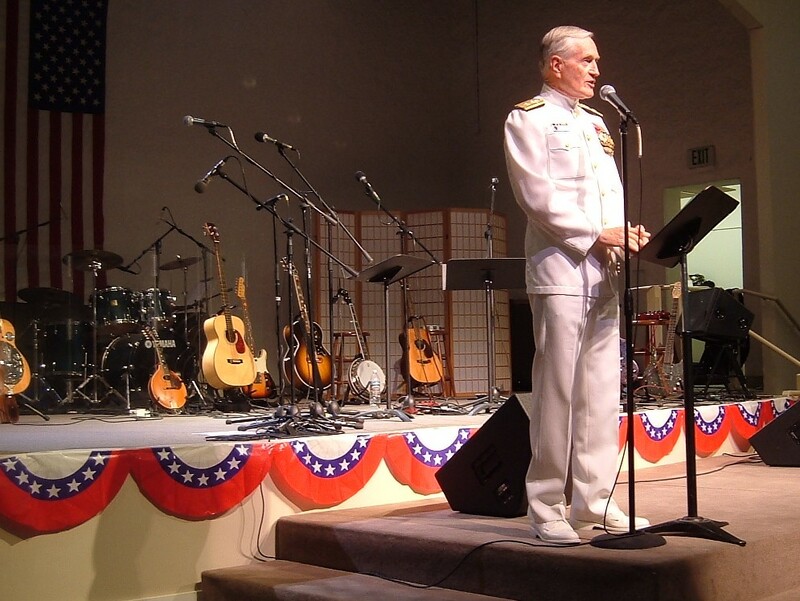 He retired after 38 years of Navy and Naval Reserves service. He also retired last year from White Sands Missile Range working for the Army, for a total service time of 55 years. But now the stars and sun and rain - The field and birds and bushes say - "Do you begin to understand - Look closer child, there's grace on every hand"
RADM Paul K. Arthur, USN ret. 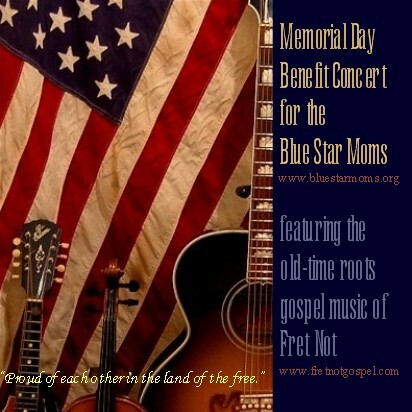 This CD is of a benefit concert that our church hosted for the Blue Star Moms. 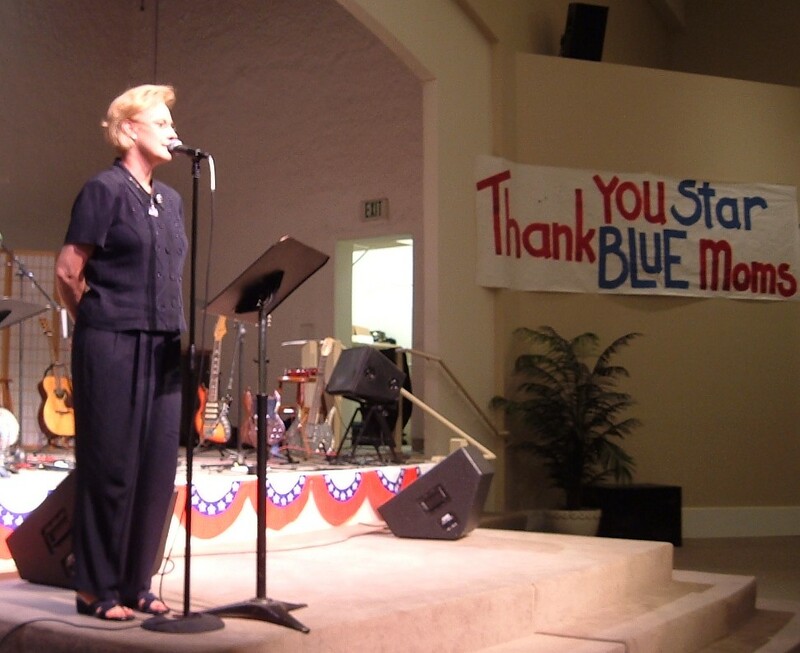 We hope that we were able to honor and encourage the Blue Star Moms, as is right to do, not only by fund raising but especially by filling the church auditorium with well-wishers who support them and their cause in prayer and with gratitude. The speakers were retired RADM Paul K. Arthur, who flew out from New Mexico, and Deb Saunders, president of the Blue Star Moms. 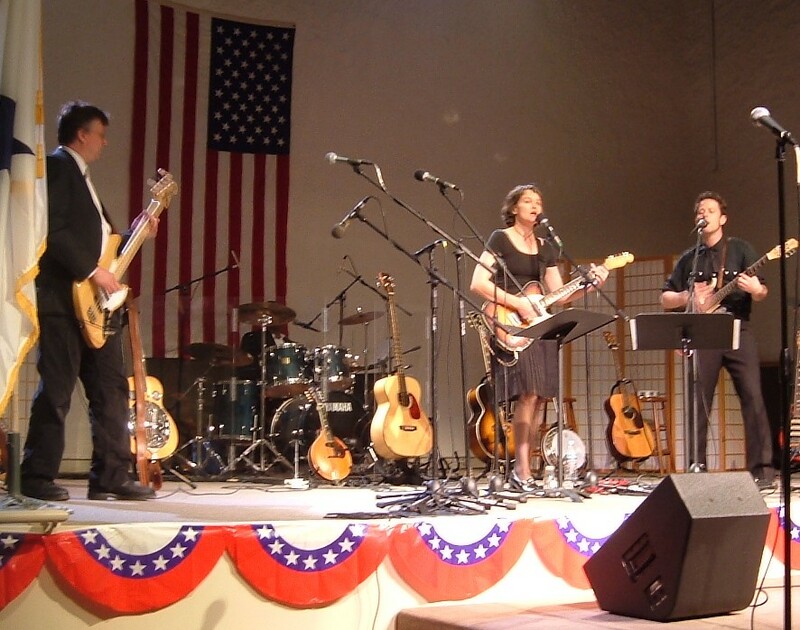 Our music was an acoustic old-time gospel set and a change-of-pace electrified alt-rock set. We hope it is clear that from the heart of the San Francisco Bay Area, we are among the many who whole-heartedly support our country's military personnel and their noble cause to secure us from our enemies by bringing freedom to the people of the Middle East..
"Be worthy. That's what I ask of all of you. That's what our sons and our daughters asked of us. ... Our cause is this, that you all remember: You remember service because it counts; You remember what it's like to live in the country free and who gave it to you. ... I can't tell you what a simple word of thanks means to us, to have you all come out and show your support for us and the job our sons and daughters are doing. They want your support for the cause and the job they're trying to do. We hope that each of you will give that. ... They go and they serve, and they serve proudly. Thank you all. Never underestimate what a thank you means to us." "Father, thank you that You are our rock, our protector, our fortress, and we pray for all the sons and daughters who are serving in the Armed Forces, and whose lives are in danger tonight. We pray that You'll blunt the weapons of their enemies. We pray that your mercy and grace and courage and strength will be theirs. And we pray for their parents that you'll give them great peace and great comfort. And Father, I pray especially for the parents who have lost children through this, that you will draw near to them and be close to them, and give them great hope of eternal life. ...We pray in the name of Jesus. Amen. 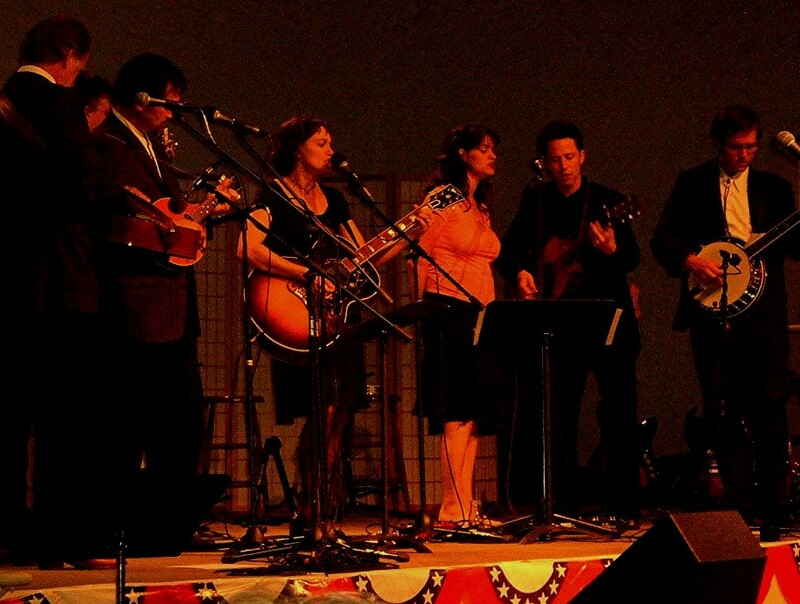 In 2006, we recorded many of these songs in studios on our latest CD entitled, Gloryland - American Funeral Songs available on PasteMusic.